Jesudasan, PPD Coordinator visited Jhondamanaru, Adikovilai, Welvedithurai, North, Polykandi west and Madavadi villages in 23-25 March 2006. Following issues were identified in the area during this visit. « Tsunami affected communities are still living in the temporary shelters. « Some affected communities have hot the lands in difficult areas and most of them have no lands. No systematic development approach for tsunami and war affected people there. 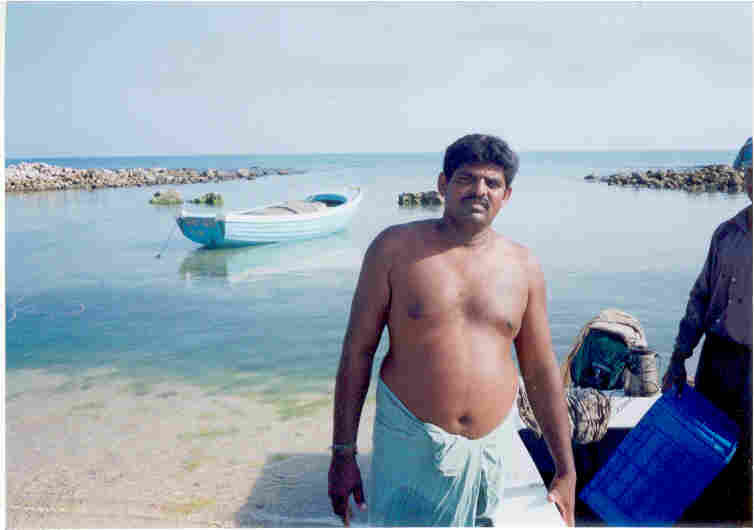 « Fisher people affect their lives and livelihoods as coastal areas have been used for military purposes. 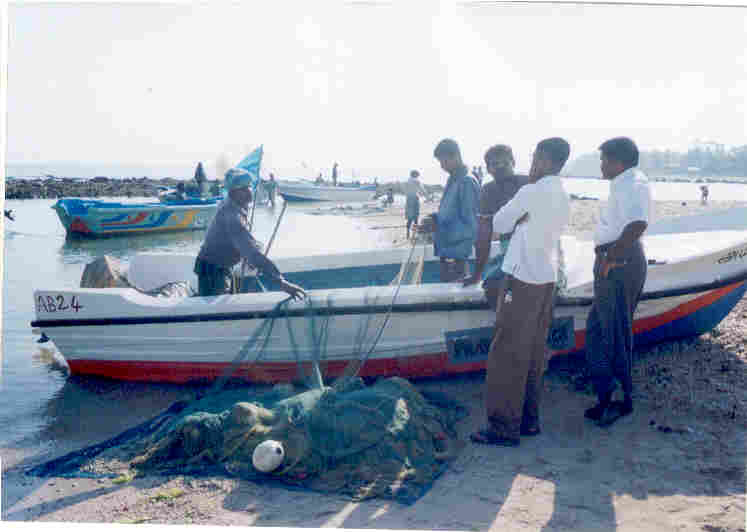 « Due to time restrictions on fishing, fishers are facing severe threats in the sea. « Contribution of Indian trawlers in invasion in Northern seas. « In Jhonamanaru another to land and houses captured by Army forces after December 2005. « In Adkovilai area 100 families lost their lands both tsunami and war. No land for farming or living as military occupied the land at Sidambaram North. « The price of land per acre in Jhondamanaru and Point Pedro area is 8 million rupees. 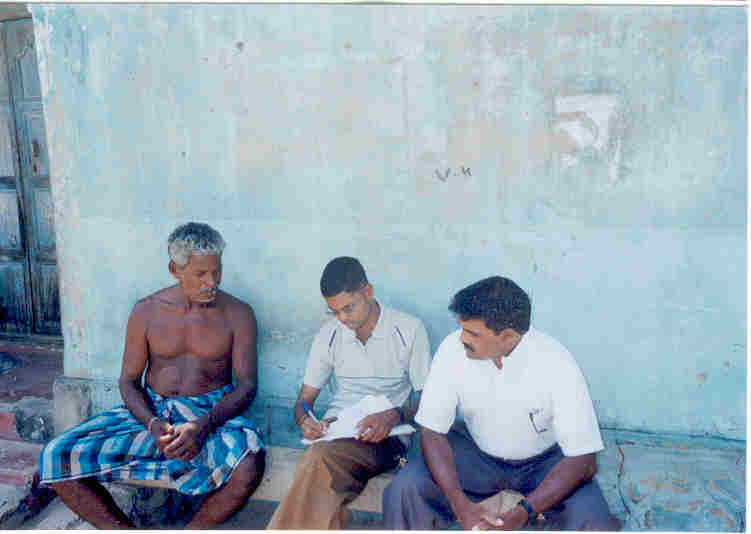 Jesudasan accompanied Mr.S Inpam chairman of Rural Workers Organization at Urumpirai, North Jaffna in this visit at Northern region. As NAFSO we urge Government and LTTE to consider this situation very seriously and come to clear solution to the present crisis.